Everybody's Jackpot – It's your Jackpot too! 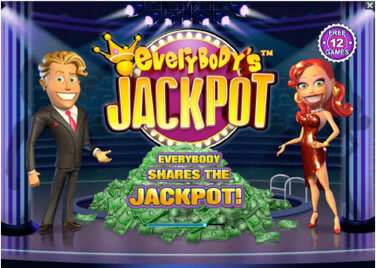 Anybody who's anybody here at Fly Casino has tried this fantastic Jackpot Game. But, if you haven't, allow us to share with you that the progressive Jackpot belongs to everybody! Simply bet enough in a given day at the game to make sure you qualify for the community progressive jackpot. Even if you don't win the big Jackpot yourself you still can get part of it if someone else does! The Mystery Progressive Jackpot is triggered randomly during main game and the player whose spin did that, wins 70% of the Jackpot prize. The remaining 30% are distributed amongst the qualifying players half evenly and half proportionally according to the total bets placed during the last 24 hours. On Tuesday from 00:00GMT until 23:59 GMT, all members on their first deposit of $/£/€30 or more will receive a 120% deposit bonus up to 120.00.